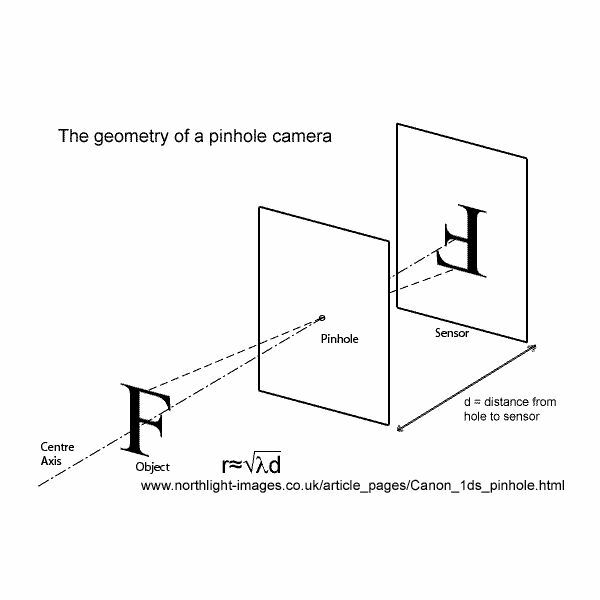 What is a pinhole camera? Have you heard of a camera that doesn’t have lens? There are cameras without lenses and a pinhole camera belongs to this category. They also have a very small aperture. Sharpness of the image depends on how small the size of the hole is. The size of the aperture should be less than 1/100 or the distance between the object and the screen. It is easy to make a pinhole camera. You can make pinhole cameras from waste materials like paint cans, oatmeal containers, cardboard box, etc. Various parts of the pinhole camera are the pinhole opening, light-proof box, film plane, shutter mechanism, and a stabilization system. 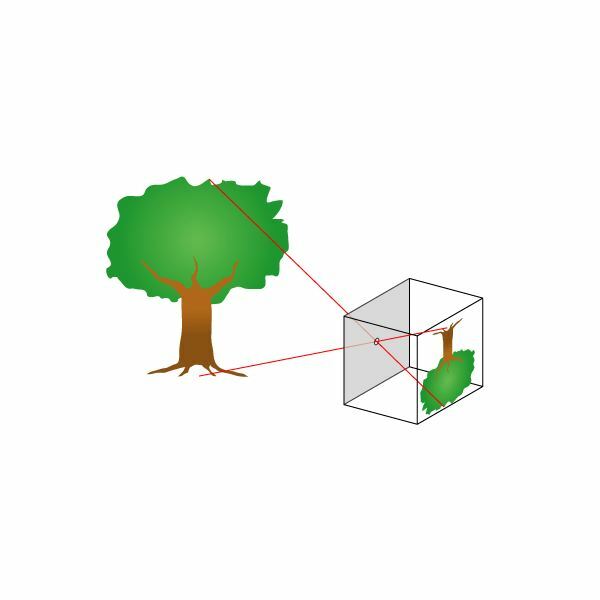 How does a pinhole camera work? Take a cardboard box or any other air-tight container. Make a small hole in it and pass light through this hole. When light is passed through, an image is formed on the back of the interior of the box or the container to which a piece of film is attached. 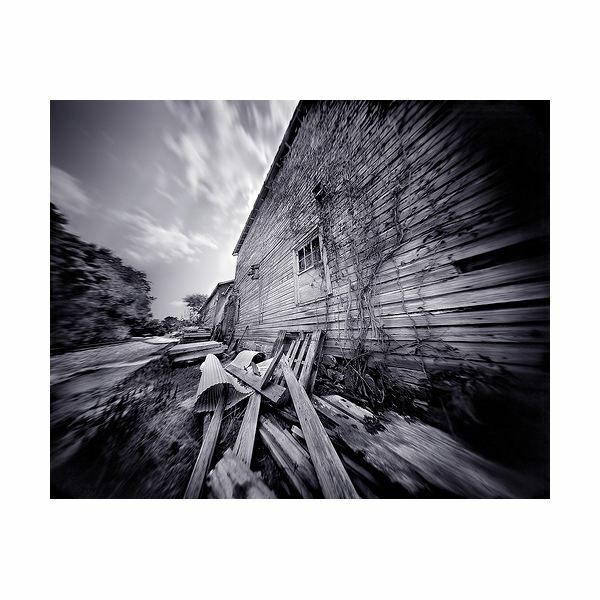 The working is same as that of any film camera; the only difference is that pinhole cameras can be made at home easily. Develop this photographic paper or the film you have attached to the cardboard box or the container to see the images. You will not be able to see the images if you don’t develop the film. 1. There is no focusing apparatus in pinhole cameras. Due to this fact, things like size, shape and the distance of the hole and the film plays a vital role. Remember, sharpness of the image depends on how small the size of the hole is. 2. How to determine the diameter of the tiny hole? It’s simple. First measure the distance between the hole and the film. This is the focal length (f). Use the formula d = 0.0073 x f ^ ½. Alternatively, you may calculate the size of the aperture here. 3. Are you wondering where the lens is in a pinhole camera? The pinhole or the tiny hole that you put in the cardboard box or the container acts as the lens. 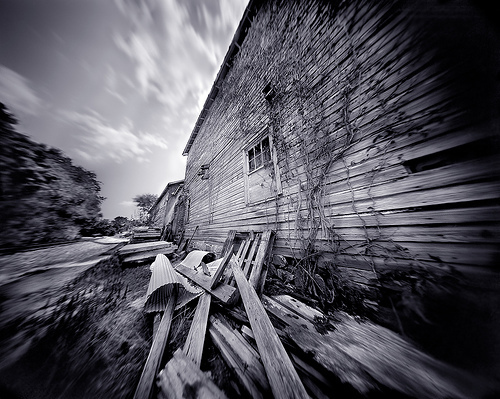 You might have a doubt on how the images taken using a pinhole camera are sharper when compared to those taken using other cameras? This is because the light that passes through this pinhole gets emitted and they form a small point on the photographic paper or the film.